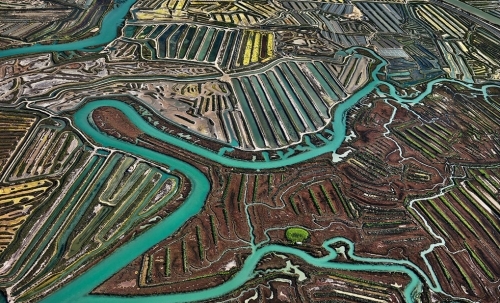 Themed around broad topics such as water, oil, mining and modern-day China, Burtynsky's expansive, large-format shots present a world of striking contrasts and otherworldly landscapes. He applies a journalist's discipline to his work, spending years at a time with one project -- researching, conducting interviews, and scouting locations. "What is modern man's relationship to nature? How do we see it?" he asks, when describing his work. "With photography, I'm able to connect people to landscapes that we wouldn't be (otherwise) exposed to."